After bleeding value at a gradual pace during most of its recent decline, the floodgates have opened as Litecoin (LTC) selling accelerated during the past 24 hours. Litecoin is now trading at $7.86 on BTC-e with no bottom in sight. This represents a 13% decline from near the $9 level it traded at 24 hours ago. It had traded as low as $7.63 two hours ago, which would set a new 2014 low on all accounts. Its previous low was theoretically $7.97, experienced during a period of flash selling on April 10. It appears that the market is having a problem specifically with Litecoin. Today isn’t a particularly bad day for crypto markets as a whole. Bitcoin is slightly off. Darkcoin and Dogecoin have also shed value, but not on the same scale as Litecoin. There are several alts like Nxt, Peercoin and Namecoin actually trading higher. Thus, LTC/BTC has plummeted by a similar margin to a new low of 0.0125. So intense was the selling that at one point, a large block of 180,000 LTC (now worth $1.4 million) was dumped within an hour, causing the price to crash to $2.21 before it quickly recovered. Such a low brought back into perspective the speculation of a $4 price point and technical lows of $2. While such speculation was driven by China concerns, the underlying technical assumptions remain unchanged. During that stretch of mass selling, LTC/BTC hit a low of 0.0115 (which is mathematically incongruous with the $2.21 LTC/USD rate, an interesting arbitrage opportunity). The accelerated activity may make predictions of 0.01 by late August come true earlier than expected. One trader amusingly assessed the appropriate trading range as 0.001-0.01. Are we witnessing the collapse of Litecoin? It’s a pretty mighty statement, but we can’t rule out anything when it comes to cryptocurrency trading. After similar falls in the past, Bitcoin has gotten up, brushed itself off and continued. It had the fundamentals to do so. Goods need to be sold, drugs need to be traded. 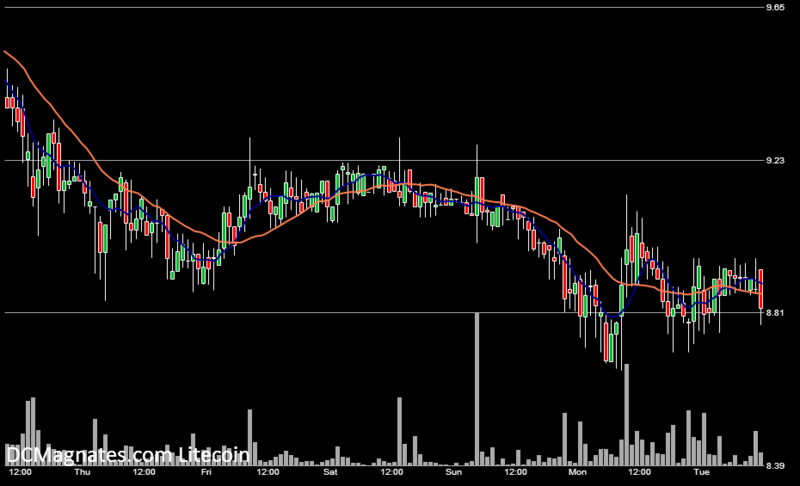 Litecoin right now seems to have two strikes against it, technical and fundamental. Previous diehards, who had defiantly held onto their coins and emphatically declared future recovery, are jumping ship. To many, there is no longer any difference between Litecoin and the myriads of other alts. It follows that its market cap should then converge towards those of other alts.